“In this world you will have trouble” (John 16:33b). No one escapes suffering in some form. It comes for all of us at some point. Far too many people live as if they can avoid it, control it, or at least limit it. 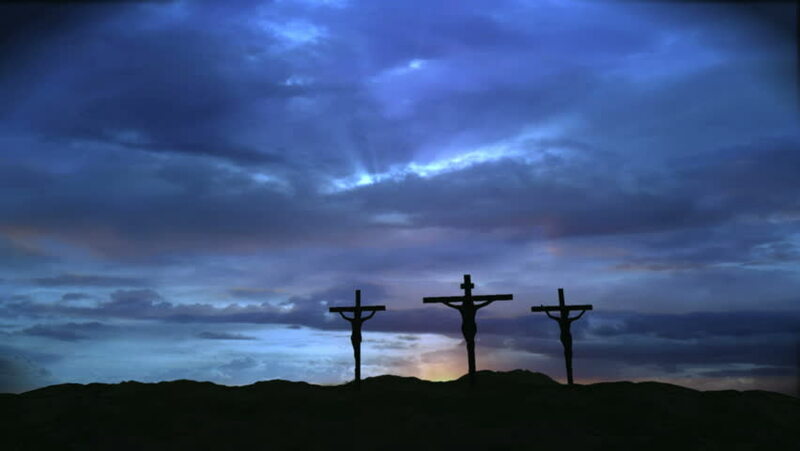 The three crosses on the hill at Calvary, however, remind us that there is no escape, but there is hope. I first came across this line of thinking while reading Diane Langberg’s book on trauma, Suffering and the Heart of God. The connection is significant because, after all, trauma is devastating and often the victims of trauma are not responsible for what has happened to them. They are, in that sense, innocent yet still they suffer. There is a temptation to explain the trauma in some way, to connect it to their sin or their neglect, or to point to some larger grand purpose. Such efforts at explanation, however, don’t help; in fact, such efforts to explain may make the pain of trauma worse. Suffering is a reality of the brokenness of our world and as such we should all expect that at some point the fallen world will fall on us, as Bob Kellemen likes to say. The three crosses on the hill at Calvary reveal the universality of suffering because they point to three unique individuals. For example, the first cross we may speak of holds the unrepentant thief up. At one level we can appreciate his suffering. He has “earned” it. He broke the law and is now paying the consequences for it. Furthermore, even as he hangs there he remains hardened in his sin. He mocks Christ along with the crowds (Matt. 27:44). He has no sorrow, no self-awareness, no repentance. So, he “deserves” what he gets. We understand this naturally because we affirm that “bad people” get what they deserve. There is a sense of justice we feel when wrong-doers suffer the consequences of their sin and immorality. This concept is not particularly hard for us to grasp. We may rightly ask, why does this man still suffer? He repented, he even turned to God for mercy, which Jesus promises him (v. 43). It makes less sense to us to consider the suffering of the penitent thief. After all, he more often represents how we see ourselves. We know that we aren’t perfect, we know we sin and fail, and yet we often want mercy and even ask for it. We don’t understand why we suffer the way we do. This thief is the reminder that we too will suffer. All people suffer: unrepentant sinners and repentant sinners alike. Each cross presents us with the inescapable reality of suffering. Yet, the final cross, the cross of Christ, holds out hope. On that third cross hangs the divine Son of God who willing enters into our suffering to provide us hope through it. Jesus did not have to suffer, He chose to. He was the only person who could rightly escape suffering, yet He lays down His life of His own accord (John 10:18). He does this in order to rescue us. Langberg points out as well that even after the resurrection the victorious Christ still bears in His body the marks of His crucifixion. The resurrected, the ascended Christ, still has the holes in His hands, feet, and side (John 20:27). His scars eternally proclaim hope to those who suffer, hope that suffering is swallowed up in glory! Christ doesn’t necessarily erase all suffering from our lives in this broken world, but He promises to swallow them up in glory. He promises to redeem our suffering! He holds out hope to us that suffering does not have the last word. We will all suffer. The three diverse crosses on the hill at Calvary remind us of this. Yet, suffering doesn’t have the last word. The Cross of Christ holds out hope that the universality of suffering, which He participated in, will one day be destroyed. He suffered in order to redeem suffering.